The WRI Ross Prize for Cities celebrates transformative urban projects. WASHINGTON (May 8, 2018) — Nine distinguished urban leaders from diverse backgrounds and geographies joined Chairman Stephen M. Ross on the jury of the WRI Ross Prize for Cities today, lending decades of experience in architecture, business and social advocacy to the competition’s inaugural search. BEIJING (April 13, 2018) – In 2015, more than half of the Chinese population was exposed to unhealthy air, and around 1 million premature deaths were attributed to outdoor pollution. A key contributor to harmful air pollution is the transport sector. NEW DELHI (April 5, 2018) — WRI India Ross Center for Sustainable Cities, with support from FedEx Express, the world’s largest express transportation company and a subsidiary of FedEx Corp. (NYSE: FDX), today announced the “Better Bus Challenge,” a competition to augment the quality, safety and efficiency of public bus systems in India. NEW DELHI (April 4, 2018) — City leaders and professionals around the world face a crush of converging pressures. They are being asked to improve urban mobility, housing, equity and access to opportunity – all while accommodating more residents, reducing greenhouse gas emissions and making streets safer and healthier. More infrastructure and funds alone are not enough to take on these challenges; cities need help making better decisions too. On April 10, mayors, senior city officials, finance industry leaders and NGO partners will gather at the third-annual Financing Sustainable Cities Forum to discuss new solutions for accelerating investment in more resilient, prosperous, and sustainable cities. Hosted by C40 Cities Climate Leadership Group, WRI Ross Center for Sustainable Cities, and the Citi Foundation, this one-day event in the heart of Manhattan’s financial district will explore why, in today’s world, green investment is smart investment. WASHINGTON (March 23, 2018)—An estimated 1.25 million people are killed and a staggering 50 million are injured in traffic collisions each year. Yet, road safety remains a remarkably low political priority in cities around the world, a new study warns. In many cases, road safety is seen to be in direct conflict with other priorities, such as reducing congestion or shortening journey times. Applications to the WRI Ross Prize for Cities are now open. 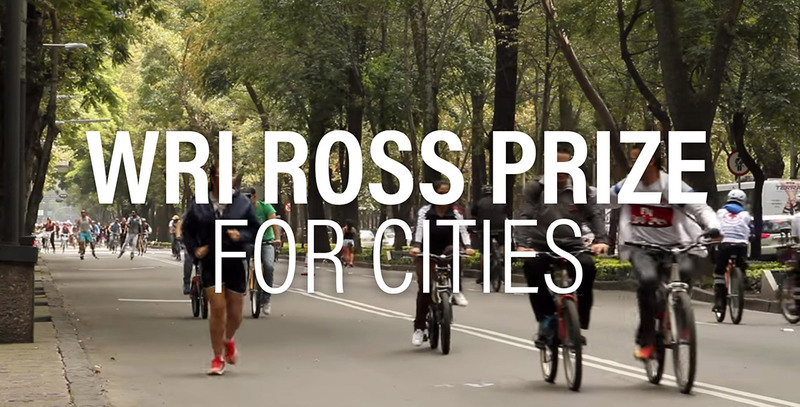 KUALA LUMPUR, MALAYSIA (February 11, 2018) — Today, WRI Ross Center for Sustainable Cities opened the application process for the “WRI Ross Prize for Cities,” a global competition to identify and celebrate transformative urban projects. The announcement comes during the 9th session of the United Nations World Urban Forum, where leaders, civil society and urban development experts are gathered to discuss implementation of the New Urban Agenda. The prize is the vision of business leader and philanthropist Stephen M.
WASHINGTON (February 2, 2018) — World Resources Institute is pleased to welcome Jessica Seddon and Emma Stewart as the new Directors of Integrated Urban Strategy, and Urban Efficiency and Climate, respectively, for the WRI Ross Center for Sustainable Cities. The 15 companies signing on to the Shared Mobility Principles account for 77 million passenger trips a day and inform the travel decisions of 10 million people each day. WASHINGTON, DC (February 1, 2018)—Fifteen of the world’s leading transport and technology companies signed the Shared Mobility Principles for Livable Cities today, pledging to prioritize people over vehicles, lower emissions, promote equity and encourage data sharing, among other goals. The companies include: BlaBlaCar, Citymapper, Didi, Keolis, LimeBike, Lyft, Mobike, Motivate, Ofo, Ola, Scoot Networks, Transit, Uber, Via and Zipcar.